Lila doesn’t know who her real mother was, but she is forever grateful to Doll, the woman who stole her from the back porch she barely remembers and carried her around with her in a vagabond life in the 1930s Midwest. Wandering with a group of other homeless people, digging roots for food, taking odd jobs on farms or in towns, and once being left on church steps as an orphan, Lila learned how to work hard and keep her mouth shut. She had no formal education at all when she took a position as a sales clerk after she was unsuccessful at working in a brothel. After that job was over, she wandered alone, stumbling upon an empty shack near a small town called Gilead. It was while searching for work in Gilead that Lila met her “beautiful old man,” someone who would change her life forever. The old man was the pastor of a local Presbyterian church, and if you’ve read the Pulitzer Prize-winning novel, Gilead, you will recognize him as the protagonist of that volume. This book tells the story of his wife’s hardscrabble life up through their marriage, ending just before the action of the first book. 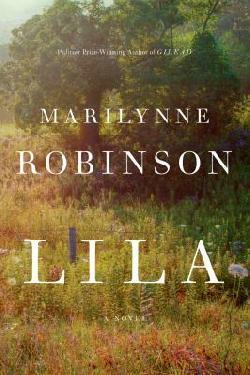 Marilynne Robinson writes slow, thoughtful novels about faith, doubt, and transformation. Very few of her readers will have had the sort of experiences that Lila had, but Robinson allows us into this young woman’s mind as she wonders how anyone could believe in a good God in the midst of all the suffering she’d seen, and why good people would believe that those who had never heard the Gospel— which was the topic of continuous discussion among the pastor and his friends— would not be able to go to heaven. It just seemed so unfair to her, and her sudden presence in his life forced the old man to deal with topics he’d only considered academically before. Because of Lila’s lack of trust, she is perennially considering how to run away from her marriage, and the pastor is quietly aware of her plans. The reader feels a constant dread, as our normal lives have taught us to value security, full stomachs, and deep roots. Robinson pokes us in all of those middle-class assumptions, leading us to view life through the eyes of someone equally human, but completely unlike ourselves. The homeless rarely write books. It is not necessary to have read Gilead or its other companion novel, Home, before reading Lila, but it would enrich the reader’s understanding to do so. Robinson writes as beautifully as ever, skillfully exploring doubts and strengthening faith. Here are some lines from the very end of the book, as she waits for her husband to join her in the back of the church after their son’s baptism.